SonoSite X-Porte represents an entirely new approach to clinical ultrasound. Its imaging features and educational resources are fluidly brought together in a convenient, all-in-one kiosk design. 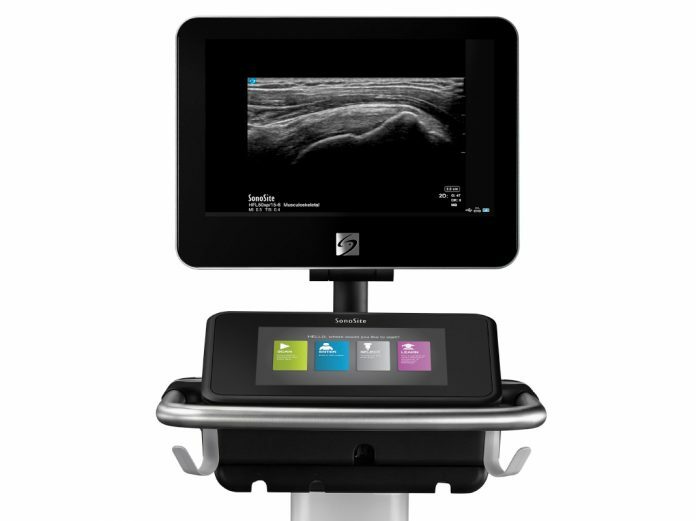 Its slender profile makes it easy to maneuver alongside beds and exam tables for point-of-care visualization and procedures. For portability and durability during transport, its screen folds down and its stand lowers making X-Porte even more compact for navigating busy corridors. X-Porte was developed to incorporate a breakthrough, proprietary beam-forming technology: XDI (Extreme Definition Imaging), created to reduce clutter and enhance image contrast. The sleek touch screen helps with infection control, as the surface is easy to clean and disinfect.